This is the summary of consumer reviews for Gaiam Total Body Balance Ball Kit. The BoolPool rating for this product is Good, with 3.90 stars, and the price range is $19.99-$24.99. 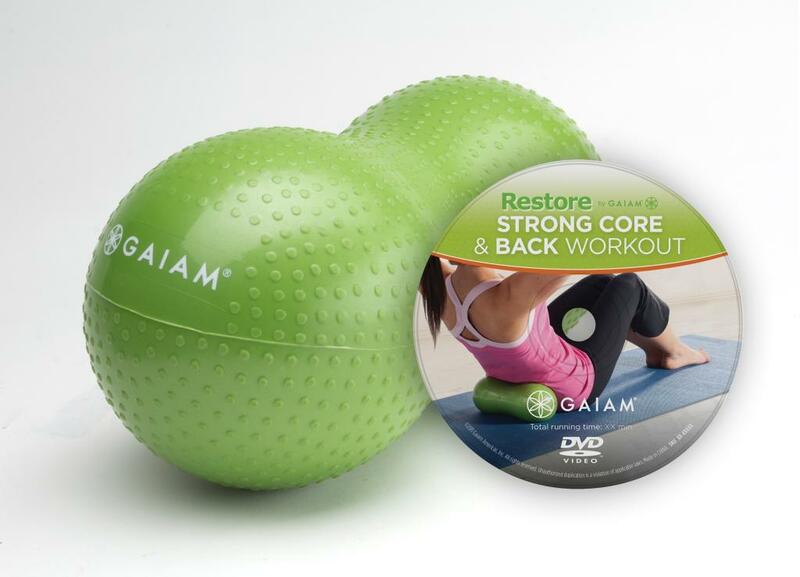 The Gaiam Total Body Balance Ball Kit is designed to develop a Balance Ball workout with resistance training with maximum results. The ball helps in improving the body's core strength and natural balance while being trimmed and toned without hurting or straining back or joints. The kit includes a plastic hand air pump to inflate the ball and 2 DVD's designed by Tanja Djelevic, first one includes 3 part workout of 60 minutes targeting upper body, lower body and abs; plus second DVD targets the Balance Ball training for beginners. 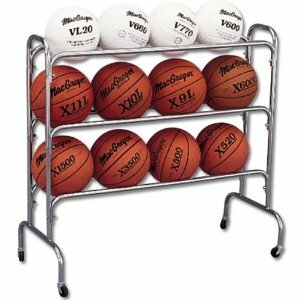 These balls are available in 3 sizes and each size is suitable for individuals within a certain height range. However, the ball requires a bit of exertion to inflate, especially the first time. Some users received balls that leaked after inflation, or wrong sizes. At times, the ball did not match the size claimed by the manufacturer. 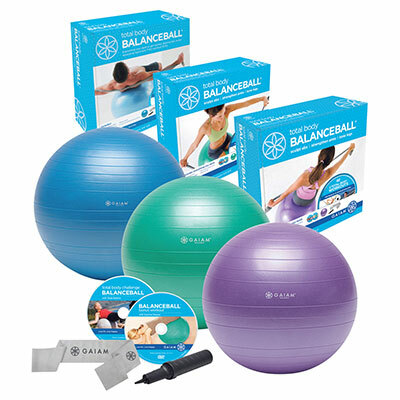 Overall, the Gaiam Total Body Balance Ball Kit is highly recommended by users for simple exercises, quality, reliability and durability within the right price range. 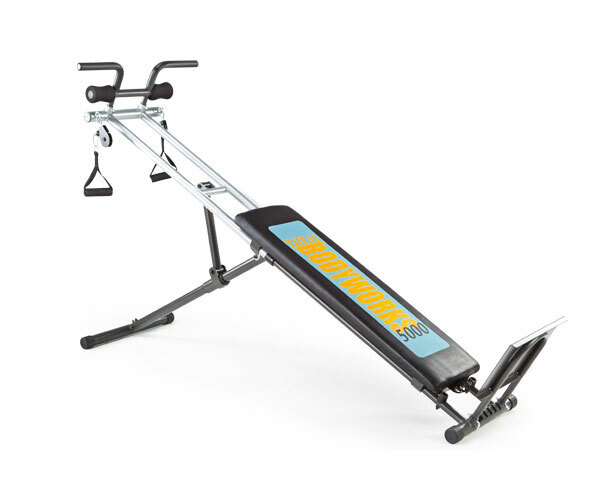 Now you can tone, sculpt and chisel your shoulders, arms, thighs and abs in the comfort of your home, office or gym. When I first got it, I did have to re-inflate it a few times, probably because it was being stretched out for the first time. Great quality, stays inflated for weeks at a time, and well priced. It looks like I won't be using a yoga ball at home ever, I don't think I'd waste time trying to buy another. No more stagnant time in from of the computer! It's very helpful to stretch my body and i'm really enjoying my gym time. Use it all the time. This's a BAD product, The first time I pumped Gaiam fit ball up, there was a slow leak in it. Due to my job, I'm on the computer all the time and I was having a lot of back and neck pain. This doesn't mean I can quit my exercise routine, but it does mean I get a little more movement at a time when I might otherwise be hunching over and sitting still. Was pretty easy to inflate with the included pump. The ball was easy to inflate with the hand pump... it took about 15 minutes. 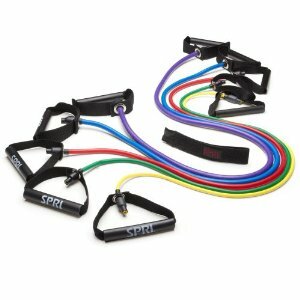 -Full kit including ball, pump, workout DVD, and resistance band. -The pump is a hand held pump, and requires a bit of exertion to inflate the ball. The balance ball is easy to inflate with the pump that's included. Took about 15 minutes to inflate the ball. It was easy enough to inflate with the provided pump and while not quite as sturdy as the ones I remember from my gym days it works. -Inflates to a full 65 cm (81 in. Then inflate it to the proper size. I inflated the ball, which was easier than I expected. I begrudgingly sent back two other balls, sized 55cm and 65cm, because they just didn't blow up to those sizes, no matter how much air I pumped into them! Finally, 75cm size is total BS. The advertisement on Amazon calls it 75 cm, the box calls it 75 cm, and the ball itself says 75 cm. The descripton of the Amazon ad says 75cm... but it only measured 55cm. I ordered the 75cm ball (ideal for taller people), and even though the packaging was labeled 75cm, the ball inside was 55cm (way, way too small). I made a marking on the wall at 55cm and, after inflation, this ball fell short of the marking by 10cm (in effect, a 45cm ball only). Not sure if I'm doing something wrong but the ball seemed small for 55cm. This ball didn't inflate to the full 55cm. Maybe I did something wrong but no matter how much I pumped, this ball wouldn't get larger than 45cm. The ball seems sturdy, but is definitely not 65cm. The main workout dvd focuses on legs, arms and abs. Plus it comes with a Pilates band and 3 instructional workout videos. I wasn't planning on using the DVD at all, thinking that it'd be too short and easy like many DVD workouts that come free with other exercise kits. 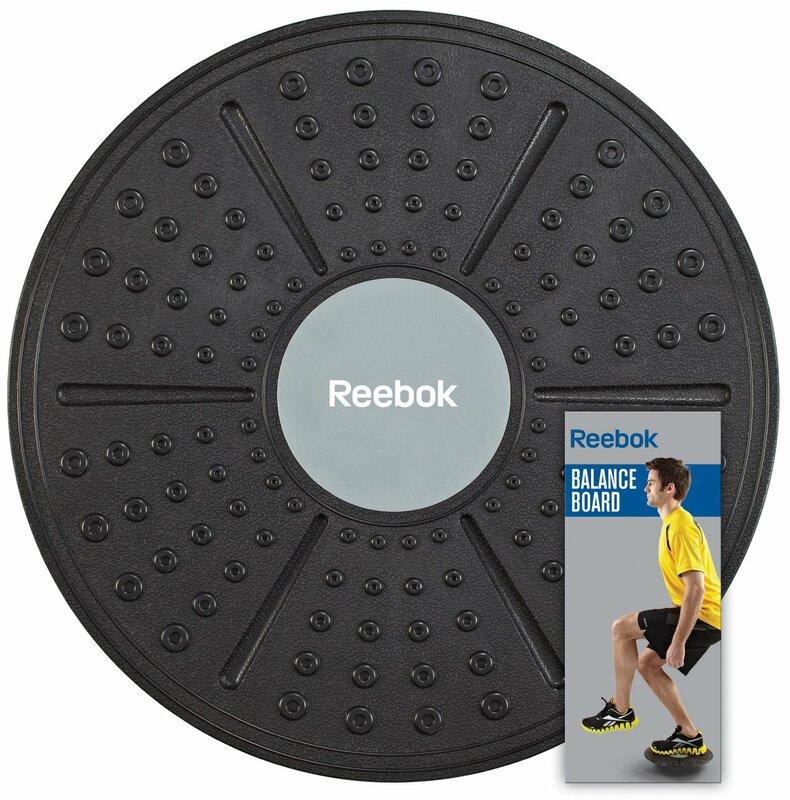 The workouts on the DVD are programmable, which I really enjoy. Anyway, I'm not somebody who likes to exercise, but this ball, resistance band, and DVD actually make it fun! The workout is easy to follow, yet challenging. The main DVD has 3 workouts of about 23 minutes each (including a warm-up before and stretching after). I'll probably purchase the cardio ball DVD to add to my workout :). The workouts are fun and done at a comfortable pace. Definitely worth trying out the DVD! So, I went to work and got my first upper body work out--inflating the ball. I'm 5'7" and 155lbs and the ball is the perfect size for me. - This kit comes with a little hand pump that works well. I'd expected to need one of our higher-end pumps, but that plastic one in the box actually worked great. It puts my arms at a comfortable level to work on my computer at a normal sized table. 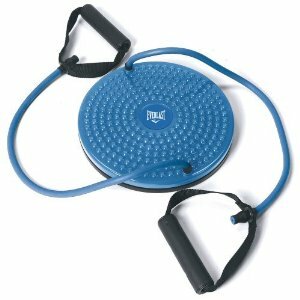 I use this instead of my desk chair and also in my fitness routine for push-ups, crunches/ab work, balance, etc. I haven't had any issues and will probably order a second. Just make sure it's well inflated though! Make sure to inflate, wait, inflate, wait, when you first get your ball. Lasted four months as a desk chair replacement. 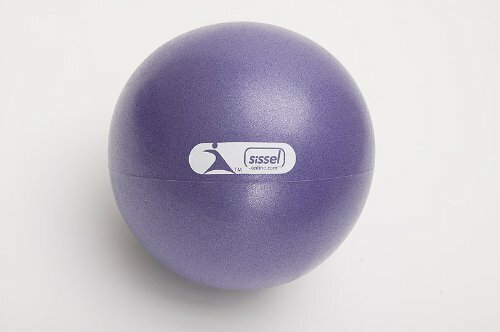 It's a fantastic conversation starter at work, and other people in the office are starting to order balance balls of their own. However, I couldn't imagine my 5'4" height working on the small ball.